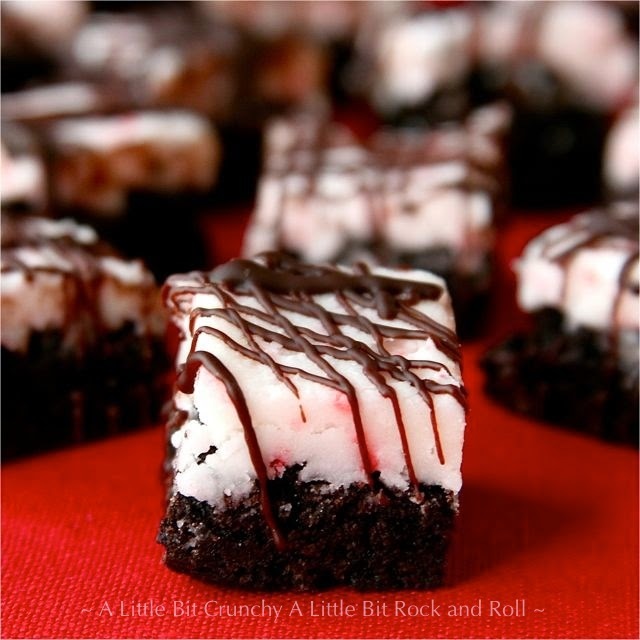 Ordinary brownies become extraordinary when frosted with candy cane buttercream frosting. Top them off with a drizzle of melted chocolate for a beautiful holiday treat. 4. Pour into the prepared pan and bake for 20-25 minutes. Cool completely. 5. For the buttercream, beat the butter together with the powdered sugar and extract. Add enough milk until it reaches a desired consistency. Add the crushed candy cane and frost the cooled brownies. Cut into squares. 6. Melt the remaining 1/4 cup chocolate chips and stir in the oil. 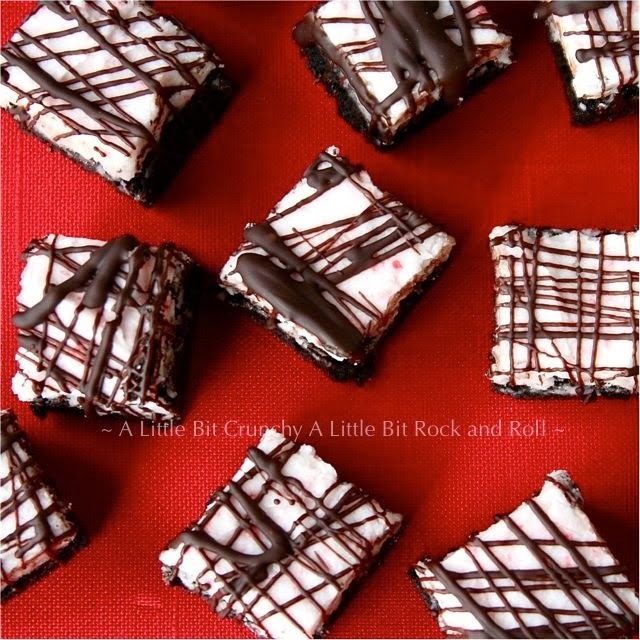 Drizzle over the frosted, cut brownies. These sound DELICIOUS! I want to make something for one of my coworkers who LOVES buttercream and mint, so this sounds perfect! These are fantastic brownies! Gorgeous!